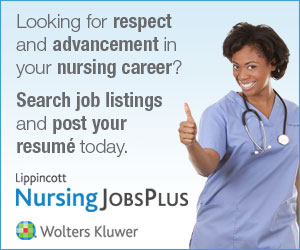 Nursing articles and publications are a main focus of Lippincott NursingCenter.com. We know what it takes to succeed as a clinical professional, and our nursing articles and publications are developed with the aim to help advance your clinical knowledge and educational experience. • More than 70 credible, authoritative, peer-reviewed journals published by Lippincott Williams and Wilkins. • A library of more than 6,000 nursing articles. • More than 40 eBooks. • The Focus On series, which are specially priced topical collections of articles, CE, and teaching tools. • A series of CE articles around Nursing Care of Older Adults. • A bimonthly list of free nursing articles, called Recommended Reading, chosen by our clinical editor. • Our free Featured Journal, offered twice a month. • Your own File Drawer, where you can save your nursing articles and access them at any time. Many of our nursing articles are a part of leading journals, including AJN, American Journal of Nursing, Nursing2018, Nursing Management, the Nurse Practitioner, and Nursing2018 Critical Care. Most articles are offered as part of a free nursing journal or at a consistent low price. All of the journals’ continuing education articles are always free to read—you only pay when you wish to earn CE credit. You'll also want to become a NursingCenter member. Membership is free and enables you to save articles to My File Drawer for easy access anytime. As a member of Lippincott NursingCenter.com, you can also subscribe to any or all of our free eNewsletters and get the latest articles and CE activities delivered right to your inbox! We are partnered with over 20 societies, and we are pleased to share the nursing publications of these esteemed organizations. Our Journals page will provide you with the tools and resources you need to advance in your career. Check back often to see the latest additions to our ever-growing collection of articles and publications.